Our love story with Persian cuisine started in a small kitchen in one of Persia’s oldest cities Shiraz, a place that is renowned for its poets, wine and flowers. Here a woman (Ashi) prepares a meal for her family. She embraces life with a certain passion. Every dish she prepares is a masterpiece with a touch of love. Young Nooshin watches her mother Ashi attentively and tends to minor tasks in the kitchen. These are special times. These are times when Nooshin develops a lifelong love for cuisine and which ultimately leads her down the path to become the owner of Noosh Kitchen; a quaint Persian restaurant in north Atlanta. Nooshin’s career as a chef and caterer started in 2002, when she began cooking meals that she herself enjoyed during her childhood. 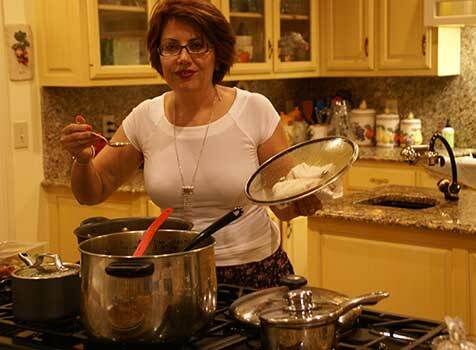 Her food became famous in Atlanta’s Persian community. Nooshin’s business grew rapidly and that lead her and her husband (Saeid) who shares the same love for fine dining to embark on their own journey to become a restaurateur. Before beginning Persian food catering in Atlanta, Nooshin learned that one of the most important ingredients of any meal is love. Noosh Kitchen personifies the same concept and now welcomes YOU. 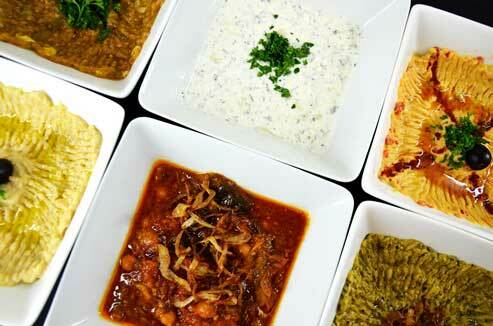 Our customers in Alpharetta depend on us to provide them with the best Persian food in Atlanta. And we don’t disappoint. Located in affluent suburbia Alpharetta, Noosh Kitchen offers a great blend of casual and fine dining. We know that the residents of Alpharetta want nothing but the finest culinary delights; a fact that is reflected in the variety of Persian dishes that we serve.